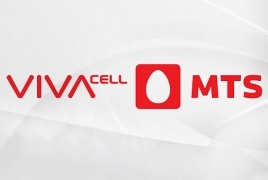 PanARMENIAN.Net - VivaCell-MTS announced the StartPhone tariff plan upgrade unveiling new opportunities. Until April 7, 2016 when picking an Alcatel Pixi 3 (4) smartphone and subscribing to VivaCell-MTS’ Startphone tariff plan for 24 months, subscribers will get 1500 on-net minutes, 1000 MB of Internet, and an opportunity to send unlimited on-net text messages (1000 text messages within network) every month by paying an AMD 2500 monthly fee. In the framework of the special offer, the smartphone is available for AMD 1.